As a scientific organization run and founded by women, the International Day of Women and Girls in Science is close to our hearts. Not just because we are women in science, but more importantly because we are privileged enough to finally be in a position to help other girls and women. According to UNESCO only 28.4 percent of researchers worldwide are women, which may be explained in part because girls have limited access to the education and opportunities that their male counterparts receive. Underrepresentation of women in professions such as science, social science and politics mean that women are often left out of policy-making and programming decisions, effectively making it less likely that issues affecting women are addressed and solved. How does gender equity tie into conservation? The link can be explained by the connection between poverty, biodiversity use and gender: Poorer people rely excessively on natural resources and services provided by the natural world. In our area or Mozambique, this includes fishing and marine resources. Thus, these communities are equally vulnerable to the loss of natural resources such as the loss of fish stocks due to climate change, natural disasters or overfishing. Because women account for over 70 percent of the world’s chronically poor, women disproportionately rely on natural resources – hence leaving women amongst the most vulnerable to the loss of natural resources, especially with our current environmental trajectory. So, gender equality is the key to sustainable development and why we as a marine conservation organization have a strong emphasis on promoting gender equality and equal access to education. As part of Love The Oceans’ (LTO) commitment to Conservation Through Research, Education and Diving, every year we do educational outreach work focusing on sustainable marine resource management at Guinjata and Paindane schools – the two local schools in our area. Our educational outreach has been running for four years during which we have taught over 1,000 children in primary and lower secondary education. As part of our educational and community outreach, we build new classrooms, and repair and maintain existing classes to ensure that the schools have the best possible facilities. This is done by request from the Elders in the community. Currently, the community has no upper secondary educational facilities. According to Mozambique law, a school with at least ten classrooms may qualify as an upper secondary school, and the government will provide the teachers and equipment needed for this. LTO employs local builders and uses local materials to maintain and build new school buildings, and in so we’re not only alleviating poverty through job creation but also working towards the first upper secondary school in our area, enabling children to receive education up until the age of 16. Many rural districts in Mozambique are too poor to afford school maintenance and investments in education. Most parents have to pay a maintenance fee to the local school for each of their children. Another fantastic result of our construction and maintenance work is that the parents in our communities no longer have to pay to send their children to school. Our programs help approximately 1500 children every year, many of whom are girls, who would otherwise have been the first to be taken out of school. 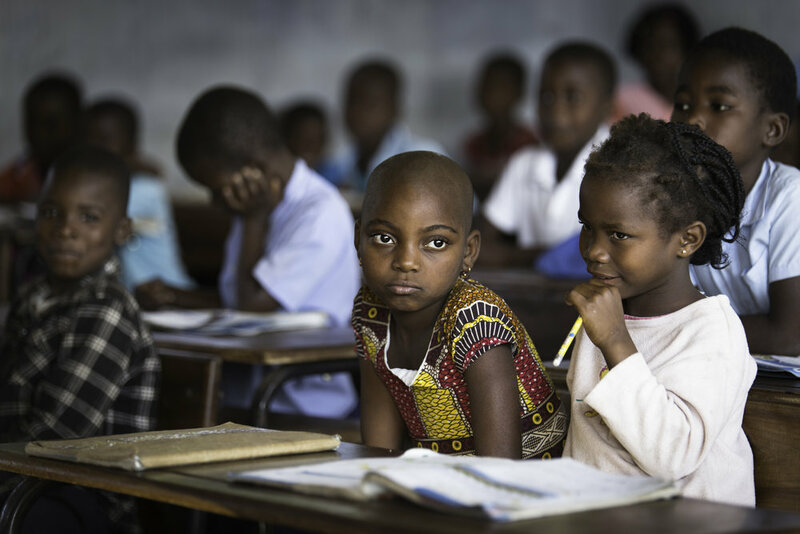 Access to education, and for girls in particular, is crucial in Mozambique. The national adult literacy rate is 36 percent for women compared to 67 percent for men. Illiteracy among women is three times higher in rural areas like the Jangamo District, where LTO operates, than in urban areas. The discrepancy between rural and urbanized areas is far less marked for men, which can be explained by significantly lower school attendance for girls than for boys. Illiteracy and low school attendance are not just problematic for girls and women who have poor access to education – it also affects the rest of the community. Unequal access to education for girls and women leads to reduced income for their families, low-income family planning, increased malnutrition, increased infant and maternal mortality and reduced public health. Securing equal access to education is the first step towards establishing gender equality and ensuring a better life quality, not just for women, but for everyone in Mozambique. “The story of women’s struggle for equality belongs to no single feminist nor to any one organization but to the collective efforts of all who care about human rights.” – Gloria Steinem, feminist, journalist and social, political activist. Love the Oceans will be partnering with PWB School for an upcoming workshop in beautiful Mozambique. Click here for more information, and how you can support women and girls in science.